The Liar's Key by Mark Lawrence left me on a great fix. Not because I disliked it and was disappointed on how the story turned out at the end, but because it was arguably the best book the author has written so far. It is so good I am wanting... I am clamouring for more [mis]adventures of Jalan Kendeth and Snorri Ver Snagason. 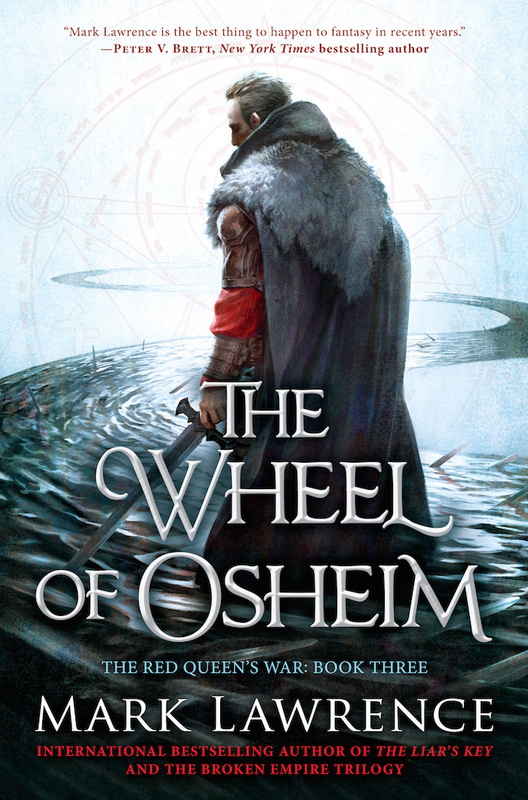 Check out the official cover of The Wheel of Osheim by Mark Lawrence. Mark Lawrence’s “epic fantasy” (The Washington Post) continues as a reluctant prince returns from the bowels of Hell to engage in his greatest battle yet—among the living and the dead. The Wheel of Osheim by Mark Lawrence will be released on June 7, 2016.